The Polish video game Dying Light, which pits you against zombies in a fictitious Middle Eastern town, is one of 2015’s 10 top-selling video games so far, according to market research company NPD group. Over 4.5 million people have already played the game, which includes features such as a special day and night cycle, elements of parkour and multiplayer modes. The Witcher 3: Wild Hunt, another Polish video game, is also among the aforementioned top-sellers. Dying Light is a so-called “survival-horror” video game. You play as Kyle Crane, a contemporary secret agent for a humanitarian organisation, who goes on a mission to Harran, a fictitious Middle Eastern town affected by a dreadful virus that has transformed most of the locals into zombies. Your main objectives are to collect information about the virus and, of course, survive. Achieving these goals proves to be problematic as the zombies wandering around Harran are, as expected, rather violently disposed towards living human beings. Fortunately for Kyle, some people that haven’t been infected with the virus are still left in the city and they’ve set up special safe zones where he can find shelter from the undead. These zones come in especially handy at night when the city becomes much more dangerous than during the day. 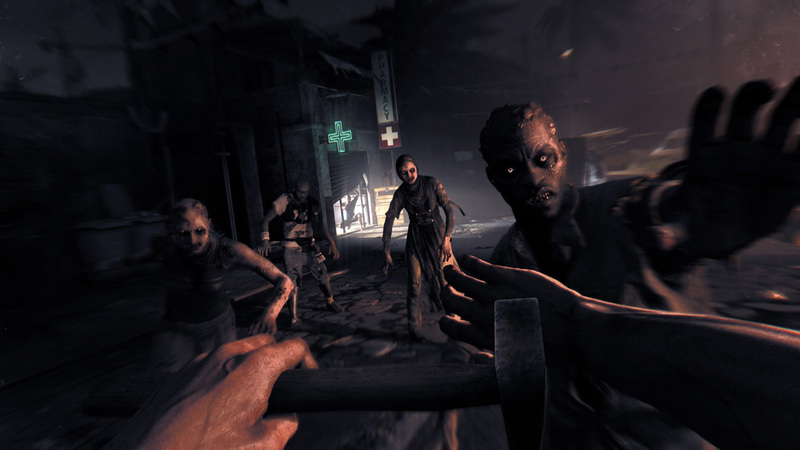 The game features a special day and night cycle which mainly involves that night-time Harran being roamed by a distinctly nocturnal type of zombie, which is significantly more deadly than the other types. Of course, you don’t have to seek refuge at a safe zone whenever things get tough. You can always deal with the zombies in combat, which is probably what most gamers will choose to do, at least in the case of the not-so-deadly undead. You can fight your foes using, for instance, various melee weapons and firearms. A special treat awaits fans of zombie slaying as the game offers the possibility of constructing your own killing devices. Want to spike your baseball bat with nails? Feel free to go ahead. As Kyle Crane, you’ll also be able to do parkour moves, meaning that you’ll have the option, for example, to climb the city’s walls with ease or make spectacular leaps from one rooftop to the next. Crane’s parkour skills prove especially useful when trying to avoid hordes of vicious zombies. The hero can also make use of his agility in unarmed combat by delivering special hits. In addition, the game has multiplayer modes which enable the player to go on missions with other players or to hunt for other gamers as a zombie. Dying Light was made by the Wrocław studio Techland which is responsible for such hits from past years as Call of Juarez and Dead Island. These last two titles are video game series that have both sold millions of copies across the world. Dying Light was released worldwide on PC, PS4 and Xbox One this year on 27th January. Even though this release date was towards the end of the month, the title still managed to be the best-selling video game of January in the US. The developers of Dying Light have declared that during the 100 days that followed the game’s release, over 4.5 million people had played it. Recently, the NPD group, a market research company based in America, prepared a list according to which Dying Light is one of 2015’s 10 top-selling video games so far. The title took seventh place on the list, based on sales figures from January to the end of June. NPD didn’t disclose the specific figures due to its business practices. The great appeal of Dying Light stems from, amongst others, its fun parkour system, the special Middle Eastern ambiance of the town of Harran, and the in-game day and night cycle which diversifies the gameplay. However, Techland aren’t resting on their laurels, and are constantly working on their product. For the summer, they prepared a special series of 6 all-weekend in-game events featuring changes to the game’s rules. The first such event, during which players received an unlimited amount of lines with grappling hooks and suffered almost no damage from falling, occurred on 4th and 5th July. Three of the all-weekend events are still to come. They’re scheduled for 15th-16th, 22nd-23rd and 29th-30th August. In addition, Techland have recently announced that they’re working on an expansion for the game entitled Dying Light: The Following. As of yet, little is known about this add-on, except that it will feature a map as big as all the currently accessible Dying Light maps combined and will offer the possibility of driving buggies. The Witcher 3: Wild Hunt, the famous Polish video role playing game, is also on the list prepared by NPD, where it is ranked ninth. If you’d like to find out more about this game read Culture.pl’s article World Goes Wild for The Witcher 3: Wild Hunt. Written by Marek Kępa. Edited by Adam Zulawski.